We’ve all heard of the bionic man, the famous 1970’s movie and comic book story of a man who, after a tragic accident, damaged body was rebuilt and replaced with bionic, high tech parts, creating a superhuman, out-of-this-world, specimen. It turns out this sci-fi tale may soon become a reality. 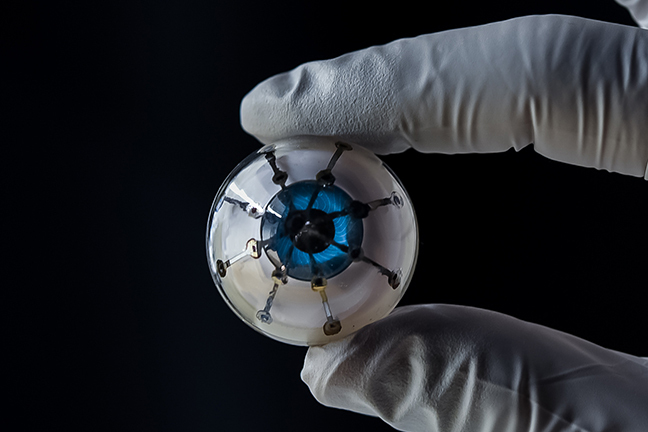 According to the University of Minnesota, researchers there have successfully created the first fully 3D printed bionic eye prototype, complete with an array of light receptors that could one day help blind people see. The portable biosensor can test specific cardiac markers in five minutes with a single drop of blood. 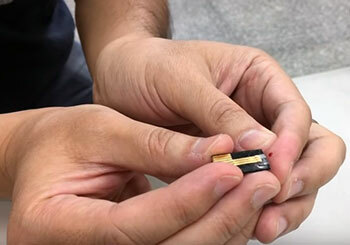 A team of researchers from National Tsing Hua University and National Cheng Kung University, both in Taiwan, has developed a low-cost, portable medical sensor package that has the potential to alert users of medical issues ranging from severe heart conditions to cancer, according to a new study published in the ECS Journal of Solid State Science and Technology. Portable medical devices have become an integral part of holistic health care, exhibiting huge potential in monitoring, medical therapeutics, diagnosis, and fitness and wellness. When paired with benchtop point-of-care instruments used in hospitals and urgent care centers, individuals are able to both increase preventative care measures and gain a more complete picture of their health. According to the open access paper, “Field-Effect Transistor-Based Biosensors and a Portable Device for Personal Healthcare” (ECS J. Solid State Sci. Technol., 6, Q71 ), researchers have reported the design, development, fabrication, and prototyping of a low-cost transistor-based device that can measure the C-reactive protein (CRP) in bloodstreams, which, when elevated, indicates inflammation that could be linked to heart attack, stroke, coronary artery disease, and a host of other medical diagnosis. A new flexible, transparent electrical device inspired by electric eels could lead to body-friendly power sources for implanted health monitors and medication dispensers, augmented-reality contact lenses, and countless other applications, researchers report. The soft cells—made of hydrogel and salt—form the first potentially biocompatible artificial electric organ that generates more than 100 volts. It produces a steady buzz of electricity at high voltage but low current, a bit like an extremely low-volume but high-pressure jet of water. It could be enough to power a small medical device like a pacemaker. While the technology is preliminary, Michael Mayer, a professor of biophysics at the Adolphe Merkle Institute of the University of Fribourg in Switzerland and the paper’s corresponding author, believes it may one day be useful for powering implantable or wearable devices without the toxicity, bulk, or frequent recharging that come with batteries. The development of prosthetics has changed many lives, providing mobility options and allowing for more active lives. But all artificial limbs aren’t perfect. Some can be painful, difficult to use, and lead to possible skin infections. The Office of Naval Research is looking to change that, providing new options for those in need of artificial limbs. By teaming up with the Walter Reed National Military Medical Center, the Office of Naval Research has developed a “smart” artificial leg, using sensor technology to monitor walking, alter the way the user wears the prosthetic to aid in comfortability and reduce wear and tear, and warn of potential infection risks. They’re referring to this development as Monitoring Ossolntegrated Prosthesis (MOIP). Researchers are using genetically engineered E. coli to power micromotors, with the swimming bacteria causing the motors to rotate in a similar fashion to a river rotating a watermill. New research out of the University of Florida shows a new 3D printing technology that could lead to strong, flexible, affordable medical implants. Through this new process for the use of 3D printing and soft silicone, the researchers believe items that millions of patients use could be more easily manufactured, ranging from implantable bands to soft catheters to slings. 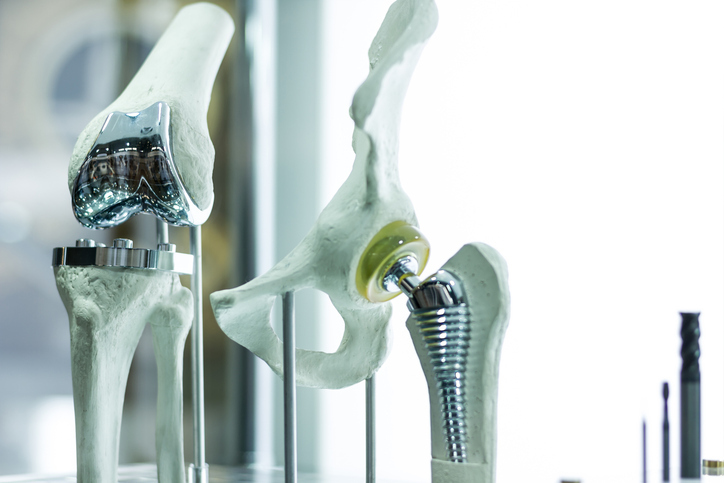 These kinds of devices are currently molded, which can take days or even weeks to create customized parts designed to fit an individual patient. The 3D-printing method cuts that time to hours, potentially saving lives. What’s more, extremely small and complex devices, such as drainage tubes containing pressure-sensitive valves, simply cannot be molded in one step. The new method allows them to be printed. From artificial limbs to cochlear implants, biomedical advancements are opening up new opportunities for health care. Now, researchers from the University of Delaware are working to further improve the lifetime and effectiveness of those biomedical devices by improving communication between the technology and neural tissue. In order to improve the devices, researchers worked to develop a direct interfacing material to improve communication between the device and the body. For this, the team focused on a conjugated polymer known as PEDOT. 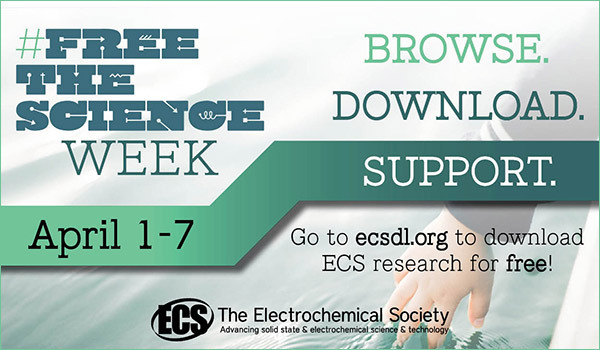 “Our results suggest that this is an effective means to selectively modify microelectrodes with highly adherent and highly conductive polymer coatings as direct neural interfaces,” says David Martin, lead researcher. A team of researchers recently developed a next-generation medical wearable that will make your Fitbit look archaic. 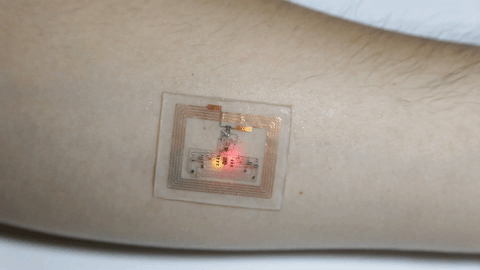 A new study details the development of a small, stretchy sensor that monitors heart rate, blood oxygen levels, and UV radiation exposure – all without batteries or wires. The patch, which relies on wirelessly transmitted power, uses near-field communication to activate LED lights. Essentially, the energy to power the device is harnessed from wasted energy emitted from surrounding electronics such as smartphones or tablets. The lights then penetrate the skin and reflect back to the sensor, transmitting data to a nearby device. In this application, radio frequencies are used to both transmit communications and provide an energy source. Without the need for a battery, researchers were able to create an ultra-thin sensor. HIV and hepatitis C are among the leading causes of worldwide death. According to amfAR, an organization dedicated to eradicating the spread of HIV/AIDS through innovative research, nearly 37 million people are currently living with HIV. Of those 37 million, one third become co-infected with hepatitis C.
The regions hit the hardest by this co-infection tend to be developing parts of the world, such as sub-Saharan Africa and Central and East Asia. While these developing regions have measures to diagnosis HIV and hepatitis C, the rapid point-of-care tests used are typically unaffordable or unreliable. A group from McGill University is looking to change that with a recently developed, paper-based electrochemical platform with multiplexing and telemedicine capabilities that may enable low-cost, point-of-care diagnosis for HIV and hepatitis C co-infections within serum samples.